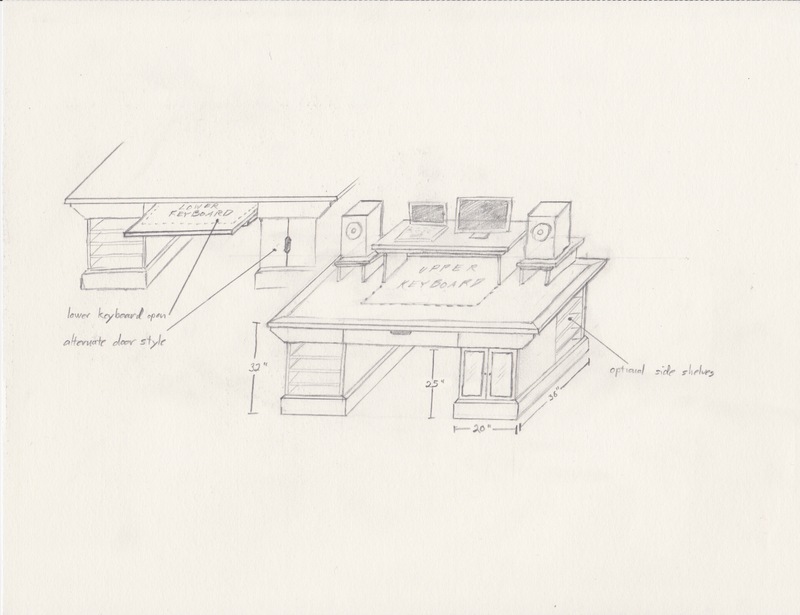 I was asked to build a recording studio desk on a budget. Using only plywood and 2×4’s I set out to meet this client’s needs. 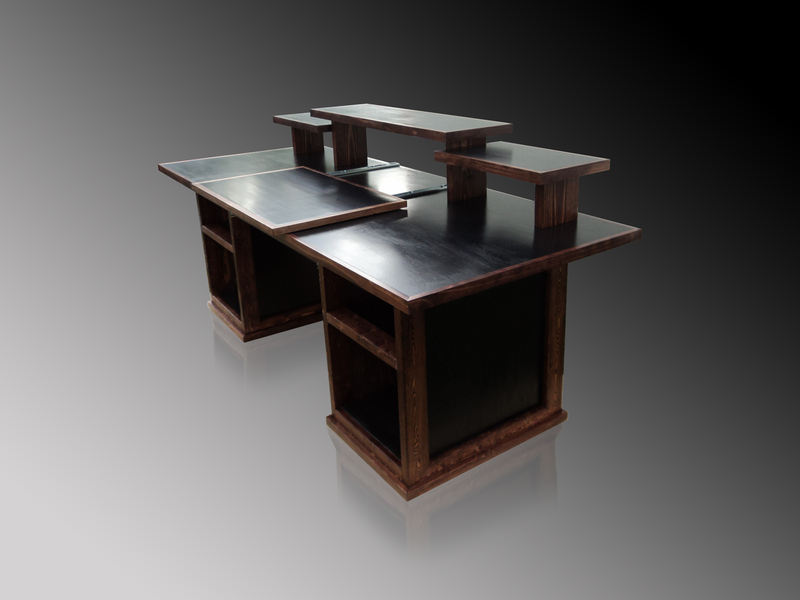 The client needed a solid desk that could be moved by one person. It took a little engineering, but I was able to work out a design that fit both form and function. 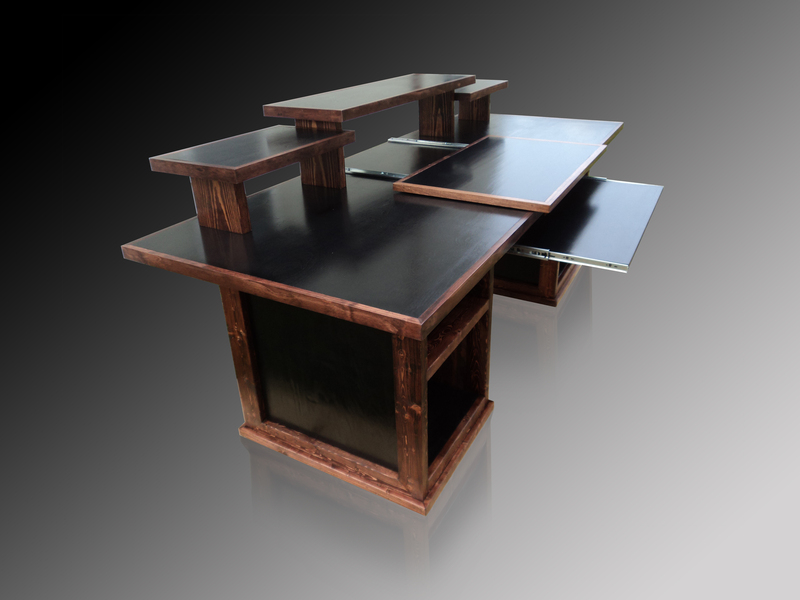 The desk separates into four parts: the top, the risers and the two base sections. With this configuration he picked it up and moved it to his office by himself. Success!!! 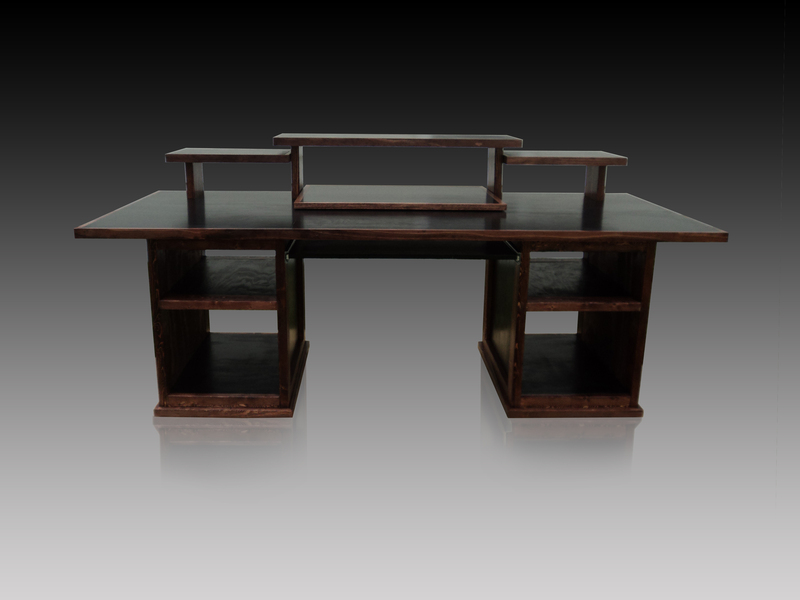 The desk is eight feet long, three feet deep and stands forty two inches at the tallest point. The side risers were positioned specifically for the client to produce the best sound from his speaker arrangement. 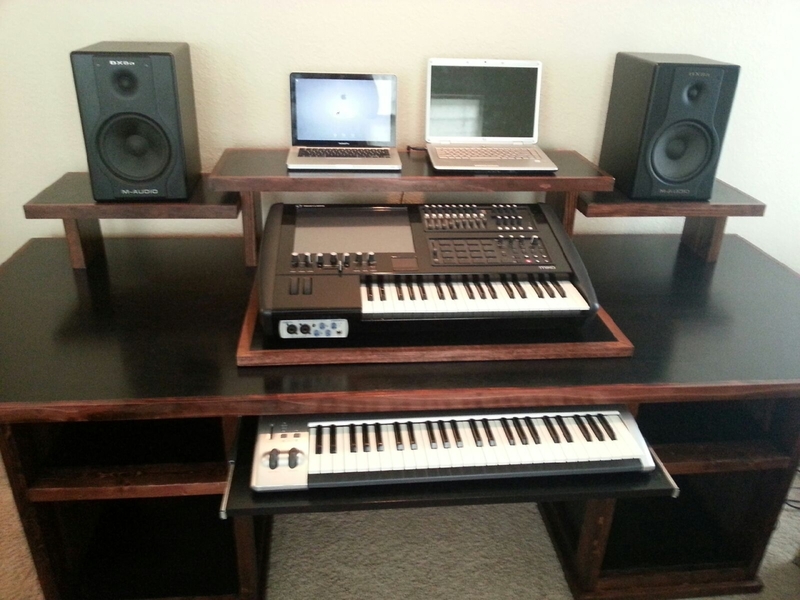 The last photo was provided by the client after he had arranged his equipment.